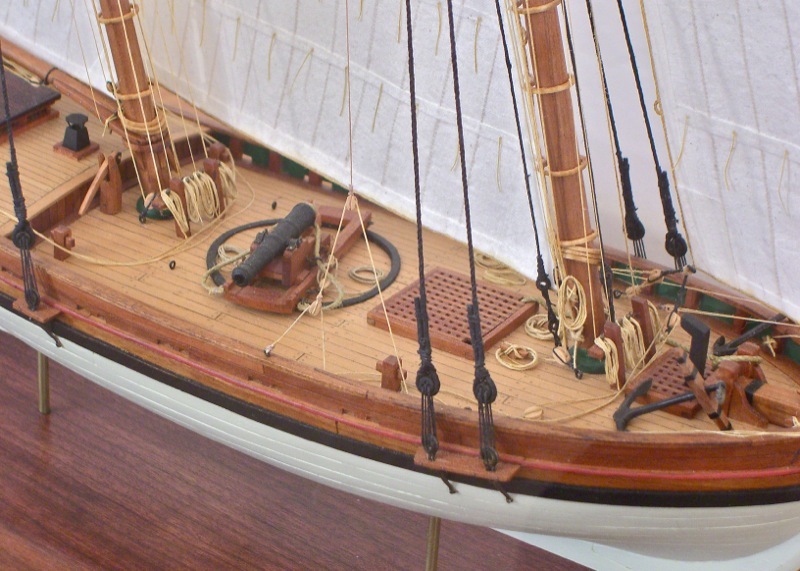 The Nautical Research Guild held their annual conference in Mystic, CT, at the end of October. While only one of our Hyde Street Pier Model Shipwrights members was able to attend to representing our group. At the NRG banquet, our group members took a larger share of the honors. 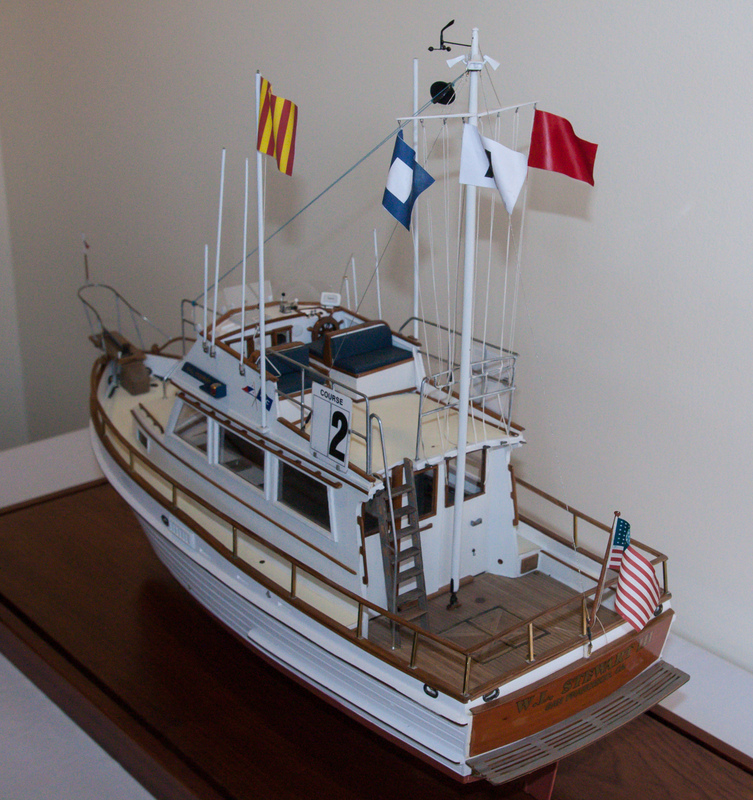 The winners of the 2015 Photographic Ship Model Contest were announced at the dinner event. All models entered into the contest received a ribbon based on total points earned in the scoring. The top models in the categories of Journeyman and Master received medals. Three medals, either Bronze, Silver or Gold, were awarded in each category, for a total of six medals, with Hyde Street Pier members taking home with 2 of the 6 medals. 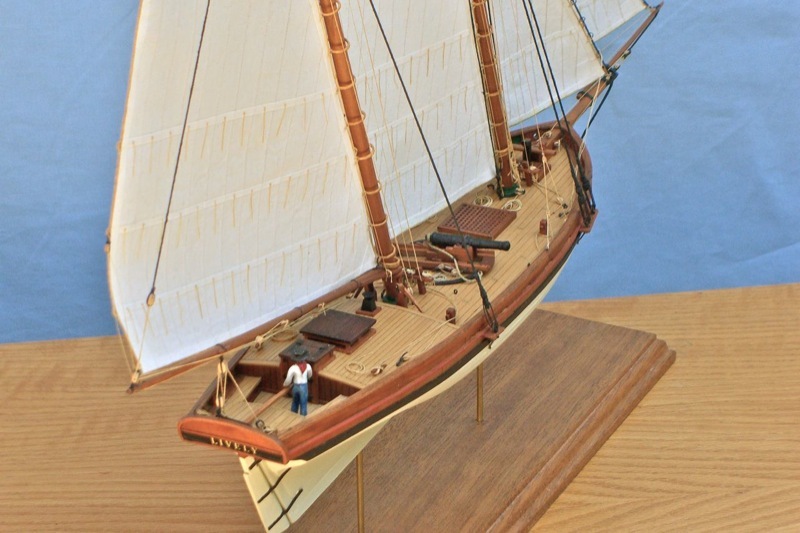 Clare Hess, receive a Bronze medal in the Journeyman category for his model of the Private Armed Schooner Lively, 1813, while Paul Reck was awarded a Silver medal in the Journeyman category for his model of the Grand Banks 32, Willie II. 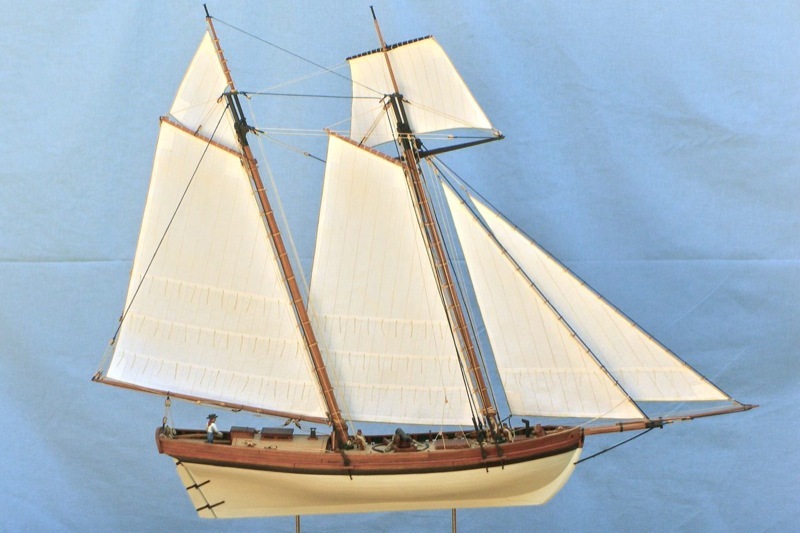 Clare’s Lively model is a 1:48-scale scratchbuilt model of a small, single gun privateer, typical of the early pilot boat model privateers of the War of 1812. 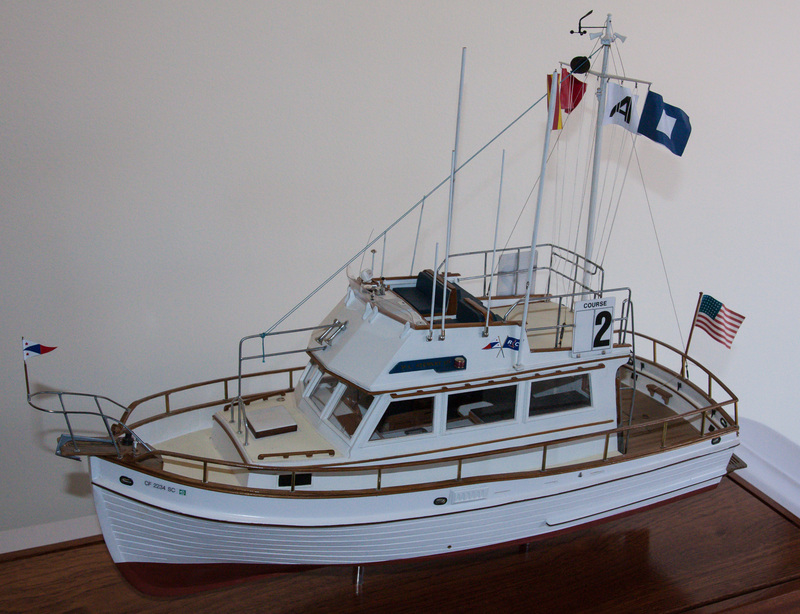 The model was based on kit plans by the late Jim Roberts. 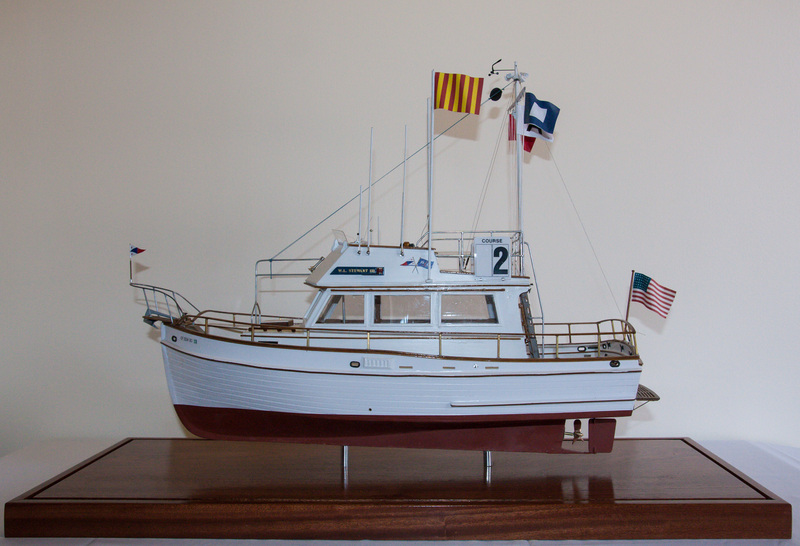 Paul Reck’s Willie II is a Grand Banks 32 that was built around 1978 and used by the St. Francis Yacht Club as a race committee boat. 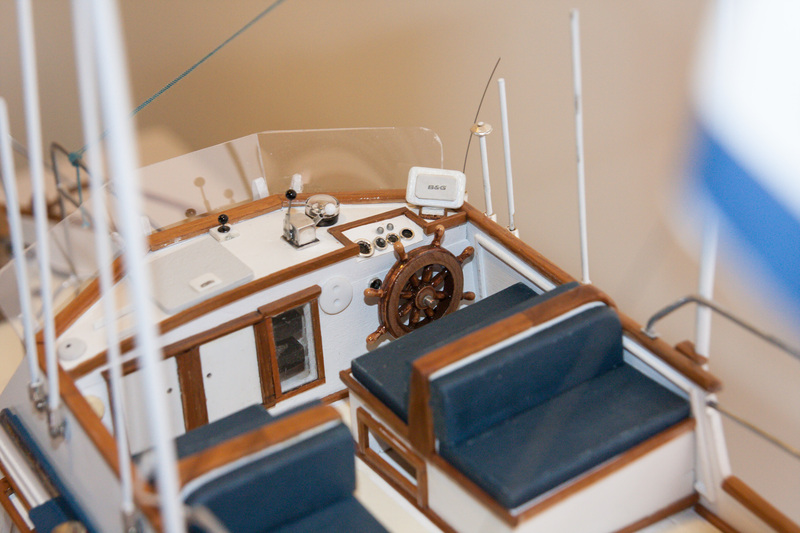 His model was built from scratch in 1:16-scale and is on display at the Yacht Club. Watch the upcoming NRG Journal and the NRG website for a full report on the contest. Note: This story originally referenced the wrong yacht club for the Willie II. The correct yacht club is the St. Francis Yacht Club, not the Corinthian Yacht Club. Thanks to David Wingate for catching the slip-up! 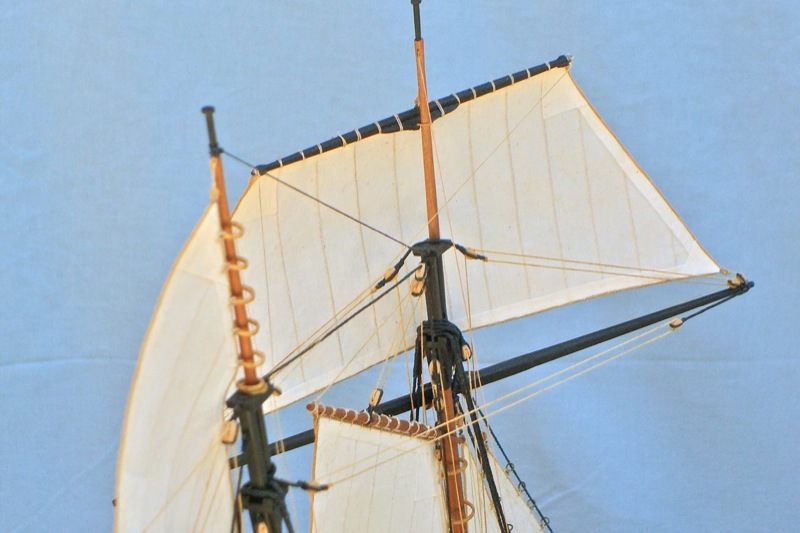 This entry was posted in Clare Hess, Club Members, Club News, News, Paul Reck, Ship Modeling and tagged Grand Banks 32 Willie II, NRG Conference, Privateer Lively, Ship Model Contest by catopower. Bookmark the permalink.